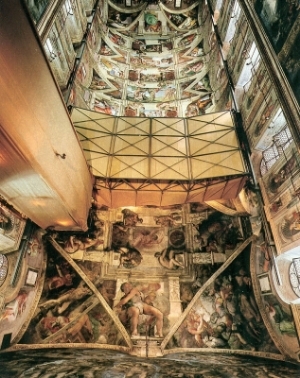 The pope ordered Bramante to build the scaffolding in order to paint it [the ceiling of the Sistine Chapel]; Bramante did so by piercing the ceiling and hanging everything from ropes; upon seeing this, Michelangelo asked Bramante how, once the painting had been completed, he would be able to fill the holes; and Bramante replied, ‘We’ll worry about that later’, and added that there was no other way to do it. Michelangelo then realized that either Bramante knew little about it or he was not much of a friend, and he went to the pope and told him that this scaffolding was unsatisfactory and that Bramante had not understood how to build it; in Bramante’s presence, the pope replied that he should build one in his own way. And so Michelangelo ordered scaffolding built on poles which did not touch the wall, the method for fitting out vaults he later taught to Bramante and others, and with which many fine works were executed. Often, the most difficult part of any creative process is just getting started; preparing for the tasks at hand by putting the necessary structures in place that will bring the project to fruition. But scaffolding of this kind not only gives structure to the process; it demands a consideration of the tools, knowledge, and resources that are necessary for crafting novel and uncommon things. Scaffolding can take many different forms, but in the narrowest sense, it is a tool. Woodworkers, for example and by comparison, will often design jigs to position a part in relation to a tool in order to augment the function of that tool. Like the scaffolding that Vasari describes, which was designed to bring the body of the artist into close physical proximity with the work, a jig allows the craftsperson to adapt his/her tools to act on a given material in a precise, repeatable fashion. When designing an effective jig, consideration must be given to the path through which the bit or blade will pass, and how the piece is fixed, but it must also do so in a safe manner. The design of a jig can sometimes be as interesting as the design of the piece itself. We can further extend our definition of scaffolding to include the skills and knowledge necessary for operating the tools that advance the project, as well as to the critical engagement that is fundamental to the creative process in general. In this way, scaffolding is a form of learning. It gives structure to what we know and how we know it. 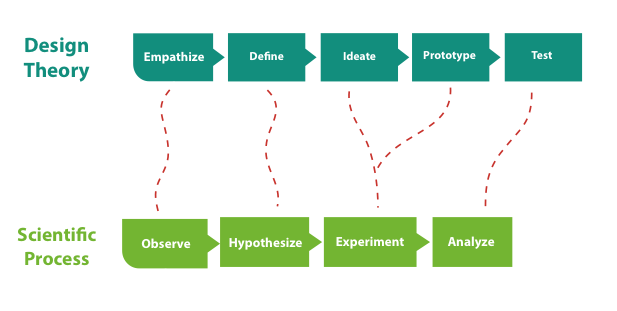 Every new project comes with a new set of questions, a new set of constraints, that require new skills, and new approaches for creative problem solving. The words we use inform the ideas in play, and those ideas give form to what is produced. Developing new language is sometimes necessary for scaffolding our understanding and communicating those insights to others. Neologisms and provisional project titles, for example, create space where new ideas can emerge. We live in an age of abundant knowledge, where so many resources are a mouse click away. This too is a kind of scaffolding; an augmented intelligence. What are the books, tutorials, and courses necessary for mastering the appropriate skills (or at least becoming familiar enough with them to satisfy the task at hand)? 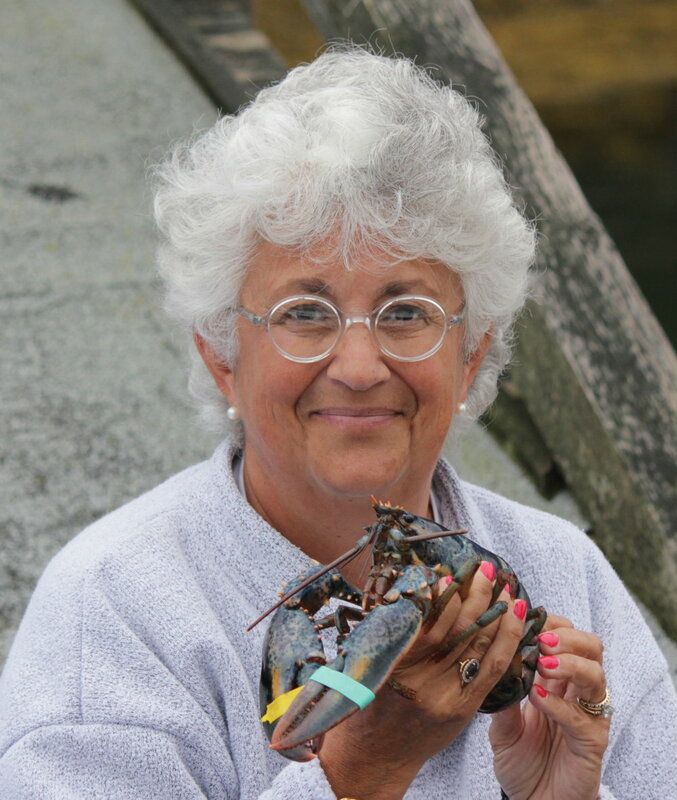 Who are the mentors, experts, and partners that can help us navigate challenges as they arise? What do we need to know to make what we want to make? These are all ways we scaffold our understanding of projects. This kind of scaffolding is nested within another, even more extensive kind of scaffolding; that of the institutions in which we operate and with which we participate. The structures of institutions dictate how we relate to one another, how we collaborate, how resources are allocated, and the kinds of spaces available for projects. Every institution structures these relationships differently, each with its own affordances and constraints, each with its own culture and values. We tend to gravitate towards institutions with which we have an affinity, and whose culture and values we are sympathetic to. But sometimes we should question these assumptions and eschew the formulas they produce. We should attempt to expand the territory of possibility and the creative dialectic in play. Like Michelangelo in Vasari’s telling, sometimes we recognize that it is necessary to dismantle inadequate scaffolding in order to design a better one, one that is more appropriate to the project at hand. There are many ways to solve a problem or ask a question. There are many ways to structure a project. It is for these reasons, and others, that in addition to thinking of scaffolding as something that occurs prior to the task at hand, we should also consider scaffolding as something that occurs throughout the creative process, and which might require edits and adaptations as that process moves forward. Otherwise, we might find ourselves in the awkward situation of filling holes in the ceiling. Vasari, Giorgio. The Lives of the Artists. Trans. Julia Conaway Bondanella and Peter Bondanella. Oxford: Oxford University Press, 1991. Print. The unpainted portion where the scaffolding met the wall is still visible just above the lunettes, although it is not easily seen from the floor below. 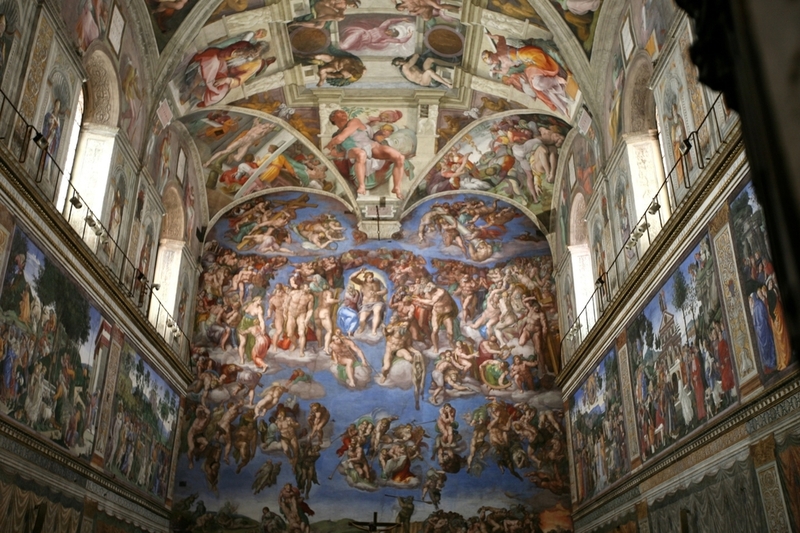 It is also noteworthy that the recent restoration employed a system not dissimilar to the one employed by Michelangelo. Boswell, Victor. “Sistine Chapel”. Boswell, Victor. National Geographic. December 1989.